Every company desires to be a leader in achieving high reliability for its products and processes throughout the service life. This objective can be difficult, given cost and timing pressures experienced by companies around the world today. In order to achieve the highest possible reliability, it is often necessary to develop and implement a Reliability Plan. Carl Carlson and Fred Schenkelberg have joined together to author a new book on creating and managing effective reliability plans. The book outlines the primary steps to achieving high reliability, and follows it up with detailed information about how to implement each of the steps. We are releasing each chapter as we finish the first draft. The idea is to ask you to read and comment, critic, edit, and make suggestions to improve this new book. Your feedback will help us create the book you need to create effective reliability plans and make significant improvements within your organization. 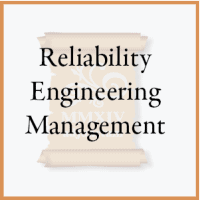 We first met a few years ago and discovered that our approach to reliability engineering management was very similar. At that time we decided to co-present a tutorial session at the Reliability and Maintainability Symposium (approaching our 6th year). Based on the tutorial, many conversations with each other and our clients and friends, we decided to write this book. We believe it fills an important need and will help reliability practitioners be successful in their work. We will post each chapter here and let you know via email when the next chapter is ready for reading. Please login to see the details on how you can join the book review. If you haven’t registered, it’s free and takes only a moment.